Arctic Breed Rescue is dedicated to the successful and appropriate rehoming of the three main arctic breeds (and their crosses) – Samoyed, Siberian Husky & Alaskan Malamute. 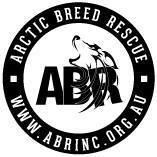 A self-funded rescue organisation, Arctic Breed Rescue promotes responsible pet ownership at all times. ABR Inc is 100% operated by volunteers and we need your help keeping our finances in tip top shape. We are looking for an Accountant (CPA/CA) or Auditor to oversee our financial statements prior to lodgement on an annual basis as well as provide advice on any compliance issues that might come up. This would require reviewing of financials prepared in MYOB to ensure accuracy and can be done annually, the time required is approximately 5 hours. Please quote in application: Accountant / Auditor via Pro Bono Australia.